1) In case you weren’t aware, this beer is a tribute to the old-fashioned way of brewing. See, with boil kettles made from wood, putting them over an open flame to get things boiling would be pretty dumb. So they would heat up rocks til they were red-hot and then chuck them into the wort to get a boil happening. Then they had to transfer new hot rocks in all the time to keep the boil going. For a few years that’s what I thought the Stone and Wood guys did. ‘‘Man, that seems like such a lot of work for one beer,’’ I thought . But I was an idiot. They don’t power a one-hour boil with hot rocks, they just throw some hot ones in at the start as a sort of tribute. Then the rest of the boil uses modern technology. That makes a lot more sense – and probably keeps the OH&S happy. 2) The first time I tried a Stone Beer it gave me a sensation akin to licking a stone. I went so far as to ask brewer Brad Rogers if I should be able to taste actual stones in his beer. He laughed politely and said no. I now realise that the power of suggestion was responsible. It was, however, the power of stupidity that made me ask Brad that question. 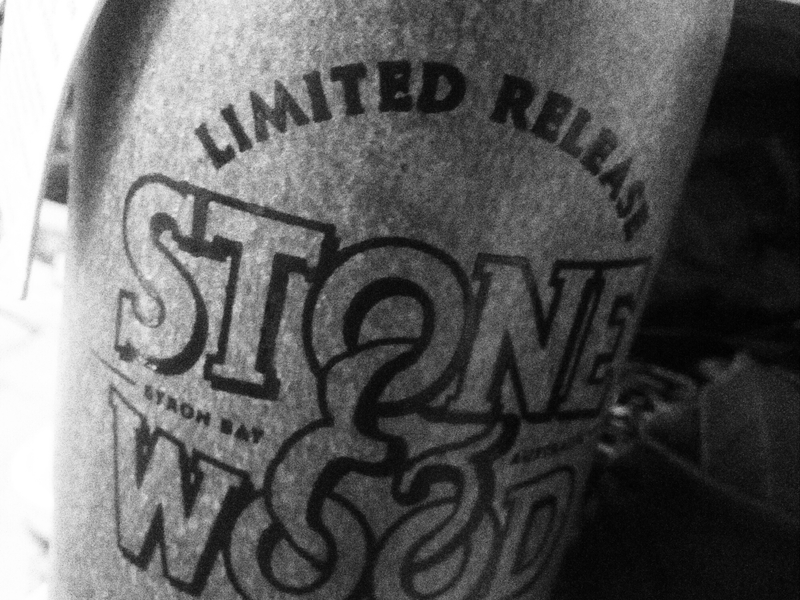 3) I went up to Byron Bay last year and helped make last year’s Stone Beer. By ‘‘helped make’’ I mean ‘‘pressed one button when instructed by the brewer’’. On the morning of brew day I woke up to a stinking hangover and had to spend hours sweating on a bus trip along winding country roads along the North Coast. There are few things less suited for a hangover than driving along bendy roads. Fortunately the Stone & Wood staff were concerned for my welfare. Not one of them said ‘‘you’re hungover. Sucked in’’. 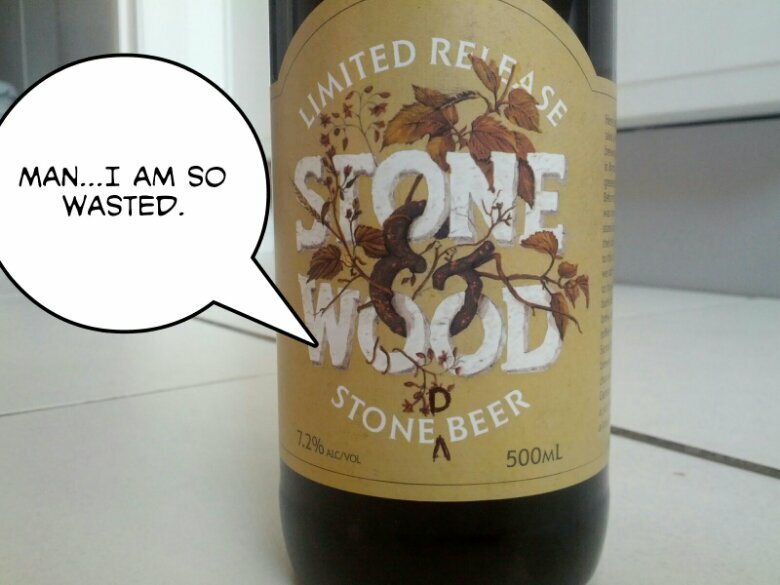 4) This blog’s short-lived Friday Photo posts included this image of a Stone Beer. Obviously it’s not as funny as I thought it was at the time. 5) I found this year’s version to be a bit stronger than previous vintages. Maybe that’s because there is a very distinct coffee flavour, with perhaps a hint of milk chocolate. But with 11 different malts, I reckon that taste is going to change over time. Also, I can smell stones in this beer. Damn you, power of suggestion.